Rogalski is Founding Partner at Rogalski Damaschin Public Relations in Bucharest, Romania. 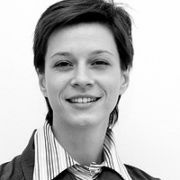 Previously she worked for the Tempo Creative Group, Farmexim, SAP Romainia, Ziarul Financiar and Banii Nostri in Bucharest. Rogalski won the International Association for Public Relations Golden World Award for Excellence and the Silver Award for Excellence, Romanian PR Award, for the PR Campaign 'With love, for you' for Danone. She won also the SABRE European Award and the Golden Award for Excellence for the PR campaign 'Biosecured' for Agricola Bacau; the Golden Award for Excellence for the Campaign 'Hamburg in 1879 - The Launch of Holsten Beer' for Tuborg Romania and the Silver Award for Excellence for the campaign 'Operation Last Chance' For the Simon Wiesenthal Center. Rogalski has a BA Degree from the Bucharest University, Philology Faculty. She lives and works in Bucharest, Romania.